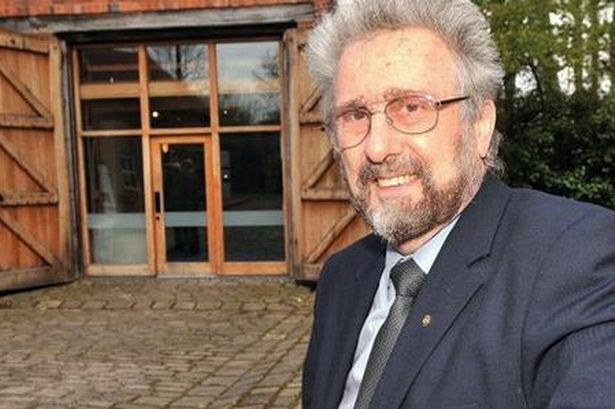 A former Lord Mayor who is retiring from frontline politics after more than three decades has vowed to keep on campaigning for a Bank of Birmingham. Liberal Democrat Michael Wilkes has stood down after his second spell as a Hall Green councillor, during which time he took up the Lord Mayor’s chain and chaired the council’s overview and scrutiny section, leading inquiries into the new library of Birmingham, the highways PFI deal and mobile phone masts. It was also here that he pushed the agenda for a revival of the Bank of Birmingham, a project which was picked up by council leader Mike Whitby and evolved from a broad mutual savings and loan facility into a business loan service. This was a huge disappointment for Mr Wilkes and is still an area he would be keen to pursue, even in retirement. “I believe passionately that we could have a Bank of Birmingham based on the near-forgotten principles of service with fairness and responsibility and without profiteering and exploitation," he said. In recent years the scrutiny function has been criticised for lacking teeth and being too cosy to the executive. It is not an accusation which could be levelled during Michael Wilkes period in charge. His inquiry into the Library of Birmingham saw to it than plans for split-site library, part in Centenary Square and part next to Millennium Point were ditched – partly as a result of a publicity stunt in which staff ferried books and paperwork across the city centre. “It was clearly a ridiculous proposal and that proved it," he said. And an inquiry into mobile phone masts suggested caution over the health risks, but no so much that Birmingham would be held back. Coun Wilkes challenged Paul Tilsley for the right to succeed John Hemming as Liberal Democrat leader in 2005 and lost by one vote, but he has no regrets. It is widely thought there would have been greater tension with the Tories had he won. “It would have been different," he admitted. "I would have liked to have led the group. But in the end Paul Tilsley has proved very capable. The highlight of his political career was becoming Lord Mayor Of Birmingham in 2009. “Nothing comes close to that,” he said. Away from the political arena he is a leading expert on Lord of the Rings and chairman of the Birmingham Tolkien Group. His wife of 42 years Vivienne is a principal organiser of the annual Middle Earth weekend at Shire Country Park, which is coming up on May 20. They have also been instrumental in promoting Sarehole Mill Museum and developing the council’s new Tolkien Strategy, aimed at highlighting the city’s influence on the author and attracting tourists. Aged 70 and a father of three, he is a retired economist from the University of Birmingham with a specialist knowledge of manufacturing industry and holds the title Professor Emeritus. His mobility has been limited in recent years by arthritis. He plans to spend more time on activities with the Rotary Club of Birmingham.